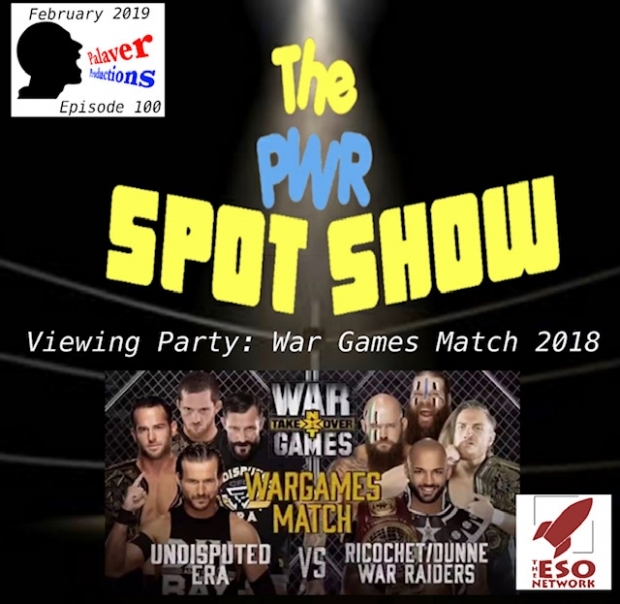 The PWR Spot Show is back on the air with another special edition of our very own Viewing Party! That’s right we are watching NXT’s War Games match from last year and you can either watch it with us or just listen as we talk about this fantastic match! It’s the Undisputed Era vs War Raiders, Pete Dunne, and Ricochet! John and Richard are joined by Jerry who is the new third head of the dragon but the original third head of the dragon Jonathan Williams is back to watch the match with us! So grab a slice of pizza and your favorite beverage as the fellas talk about the match and other wrestling subjects in between!